Nestled in the south-east corner of France, Marseille has a long and illustrious history. The bustling port town is one of France’s biggest and busiest cities, and so is ideal for mini-breaks and romantic weekends away. Breathe in the fresh sea air, sip on a café au lait and get ready to explore this magnificent city. Here’s how to get the most out of all the sights that make Marseille one of Europe’s most romantic getaway spots. Start your Saturday morning early: head on down to the Vieux-Port to wander around the old port neighbourhood that remains the city’s lifeblood. Every morning a fish market sets up by the waterside, so it’s the perfect place to witness a traditional French produce market (even if you’re not buying anything yourself). The city has traded on its seafront location for many years. Port de Marseille’s architecture reflects this long history, with a variety of styles standing side by side – shiny new showpiece architecture stands alongside renovated warehouses and ancient fortresses. 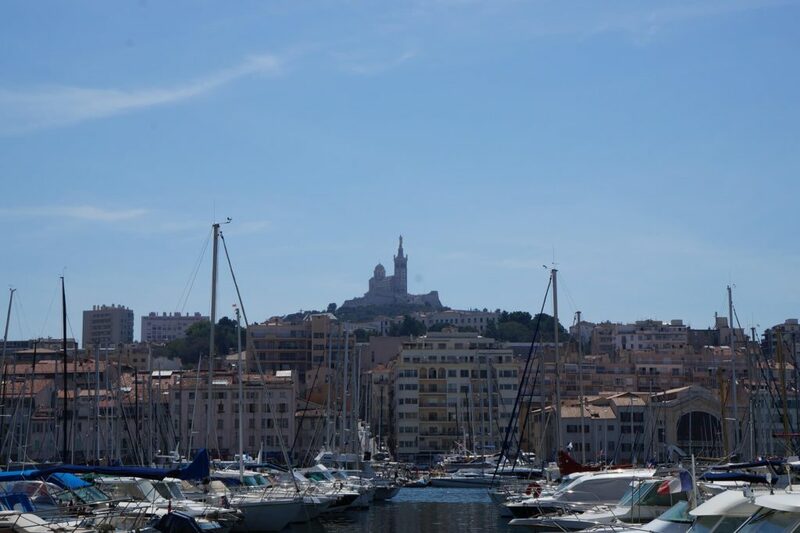 It’s also entirely pedestrianised, and so as well as being a key Marseille attraction, it is also a popular spot for locals to meet and hang out. You can reach the old port from anywhere in the city: simply follow the signs for Vieux-Port if you’re travelling by foot, or take métro line 1 or tram line 2 from stops in the city. Drop by La Samaritaine for a mid-morning coffee in belle époque surroundings, and enjoy the view out over the small boats on the water. Once you’ve had your fill of the port, catch a boat across to Château d’If. It’s the fortress made famous by The Count of Monte Cristo, a prison on a tiny island from which the condemned can never escape. During the 1500s, around 3,500 Huguenot prisoners were imprisoned at the Château. It was used as a prison until the end of the 19th century when it was then opened up to the public to visit. The history of the building is apparent: its courtyard, strong defences and small cells all tell parts of its story. The ferry journey to and from the island is very short – only around one mile. 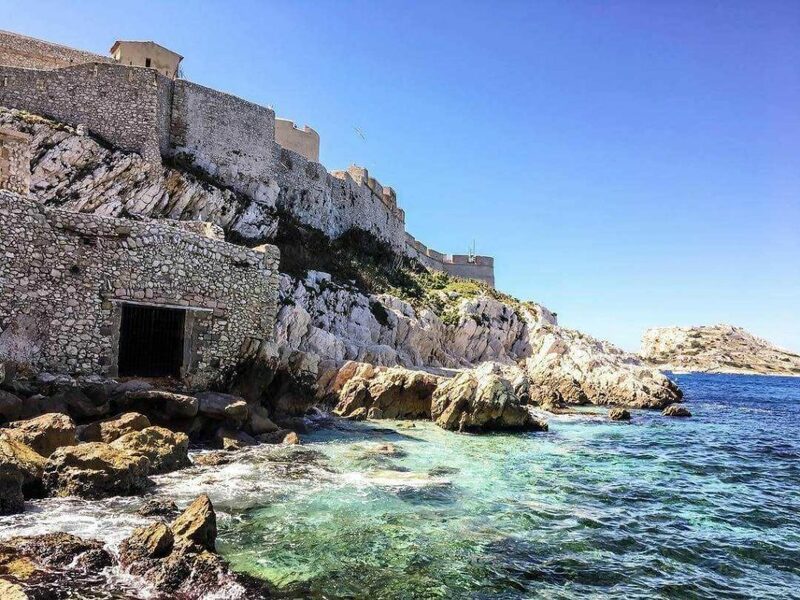 Make the most of the time to enjoy the stunning views of Marseille, as well as of the fort itself. Plan your trip so you leave the island at around sunset and you’ll enjoy glorious vistas on your return journey as the twinkling lights come on in the old port. After a Saturday of sightseeing, you may want to spend your Sunday doing something more restful. 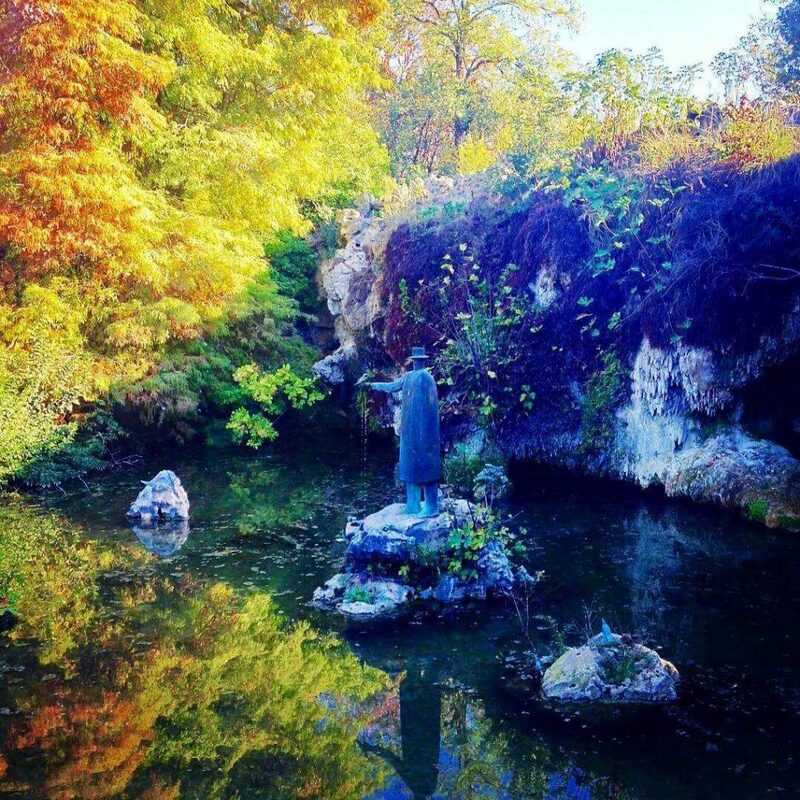 Make the most of the fine Provence weather, and go for a stroll around the beautiful Parc Borély. The park is split into different areas, including a classic French formal garden and an English landscape garden. The latter, in particular, is worth having a slow amble through. There’s a miniature version of the city’s Notre-Dame de la Garde basilica which towers over Marseille. The park stretches right down to the sea, and there’s a lovely promenade along the waterfront that passes Marseille beach. You can easily reach the park by taking métro line 2 to Rond-Point du Prado and then walking down Avenue du Prado. Alternatively, take bus 19 to the Parc Borély stop.